Portes du Soleil – Just over 1 hour from Geneva airport, with fantastic transport links making this area so easily accessible. One of its leading benefits is that it only just over 1 hour away from Geneva airport. At Morzine Immobilier we concentrate on the French towns/villages around Morzine and Les Gets. We believe by concentrating on these areas we are able to give you unparalleled advice. 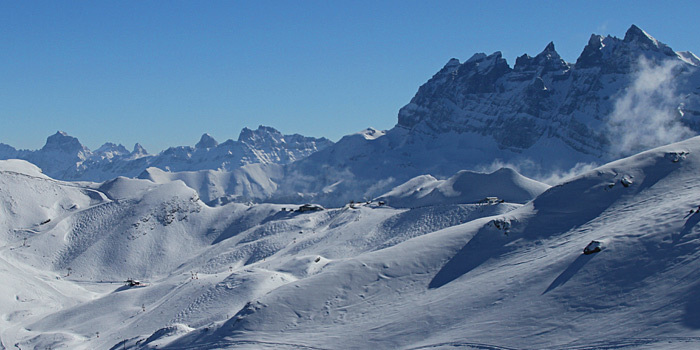 The Portes du Soleil area has over 650km of marked piste with plenty of off piste skiing too. Download the ski map to get an overview of the entire area. And if skiing/snowboarding is not your main concern then you can try the abundance of other sports, such as, Ice skating, cross country skiing, snow shoeing, ice diving, ice climbing, paragliding, dog sleigh rides or just relaxing sipping a “vin chaud” watching all the activity. Our trails map shows how the area looks in the summer, so you can easily plan your activities. Fatasti cable (zip wire over two valleys) for the more adrenalin junkies. There are a number of pre schools (primary schools and middle schools for ages 3 – 11) in all the major towns (Les Gets, Morzine, Chatel, St Jean d’Aulps,) The main secondary school (11-17) is in St Jean d’Aulps. There are further schools in Thonon, which at an average of 35 minutes away is the nearest commercial centre. There are many School buses which serve the area taking/collecting children from the entire area to St Jean D’Aulps. The majority of people that have relocated here from the UK believe that the French schooling is exemplary. College hours are from 8am to 4pm with Wednesdays dedicated to Sports. Morzine is also home to an excellent French School. If would like to learn french with fun and interactive french courses, get in touch with the friendly team at Alpine French School. Travelling to Morzine and the surrounding area could not be easier. Geneva airport is only 1 hour away by car. If you are without a car there are a number of transfer companies which operate a taxi service to and from the airport. With more and more companies setting up this has become a very cost effective way of travelling. There is a bus service available, however it generally takes longer and is more expensive than the transfer companies that operate. Once here, there is a bus service which serves the local area. Within Morzine the bus service is free to and from the Cable cars servicing the mountain. From the neighbouring towns/villages there is a very reliable bus service called the Balad D’Aulps which serves Morzine, Les Gets, Montriond, Essert Rommand, St Jean D’Aulps, Bas Thex and Le Biot. It is also exceedingly reasonable at €1 per trip. There are also a lot of local private taxi firms which will provide you with a service once in the area. Interested in buying properties in the Portes du Soleil area? We have a great selection of properties to buy and properties to rent.